Unless you’ve been living under a rock, you’ll have heard of Caroline Hirons. I’ve been a reader of her blog for years and when the news broke online that she was launching a skincare product with one of my favourite brands, Pixi I knew I had to try this out. I remember reading the blog post Caroline wrote about recommending the Pixi Glow Tonic and it’s been a product I’ve used ever since. If you’re a regular reader you’ll know how much I love using the glow tonic as part of my skincare routine. I’m actually on my third bottle of the stuff as I keep repurchasing it once I’ve run out. 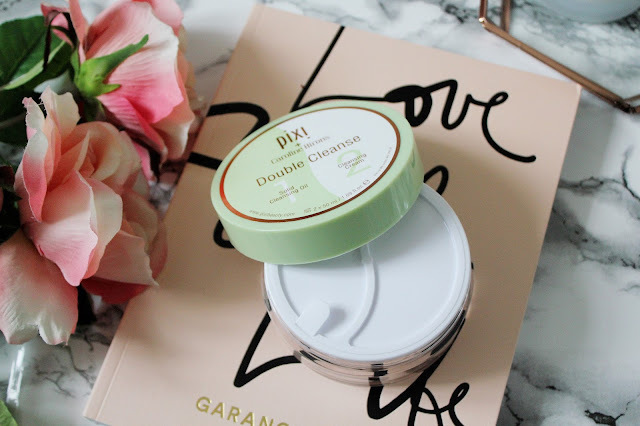 Since she wrote the post about the Glow Tonic (you can read it here) she’s regularly featured Pixi so it only seems right to launch a product with her. 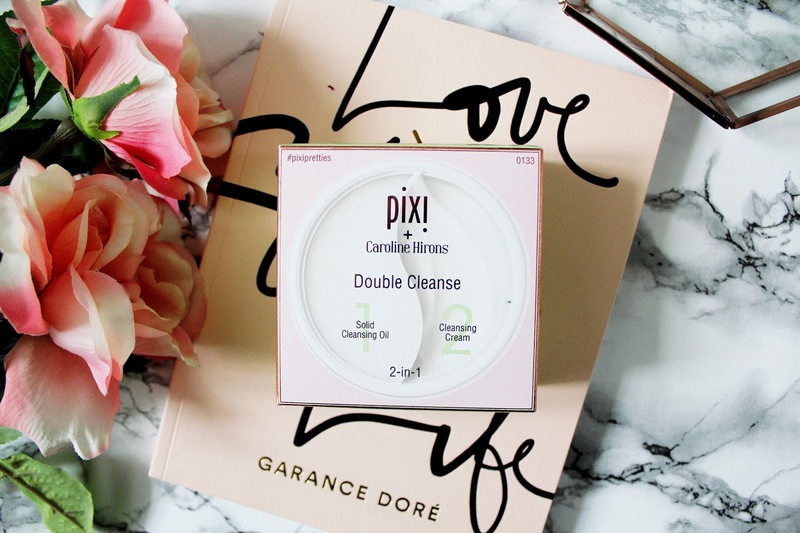 Priced at £24 the double cleanse is (semi) affordable and when you know it’s by Pixi and Caroline Hirons you’ll know it will be a great product. The tub is split up into two parts, a solid oil cleanser, which is used to break down your makeup on the left, and a cream cleanser, which hydrates your skin after cleansing, on the right. What I love about using this cleanser is that it is so soft and gentle on the skin, the cleanser isn’t harsh on your eyes and is really easy to blend into your skin. I use about a 1p sized amount to cover my whole face and wipe the cleanser off with a cleansing cloth. Once I’ve patted my face dry I use the cleansing balm side of the double cleanse and it’s so gentle on my skin. The double cleanse is fragrance free and not tested on animals too. Overall, I absolutely love this and I hope they make this a permanent edition to the Pixi skincare line. The only issue I have with this cleanser is I think I’ll run out of my solid cleanser side before the cleansing balm. Nevertheless I’m really impressed with this launch and it’s going to be a regular edition to my skincare routine. You can pick up the double cleanse online here and here. 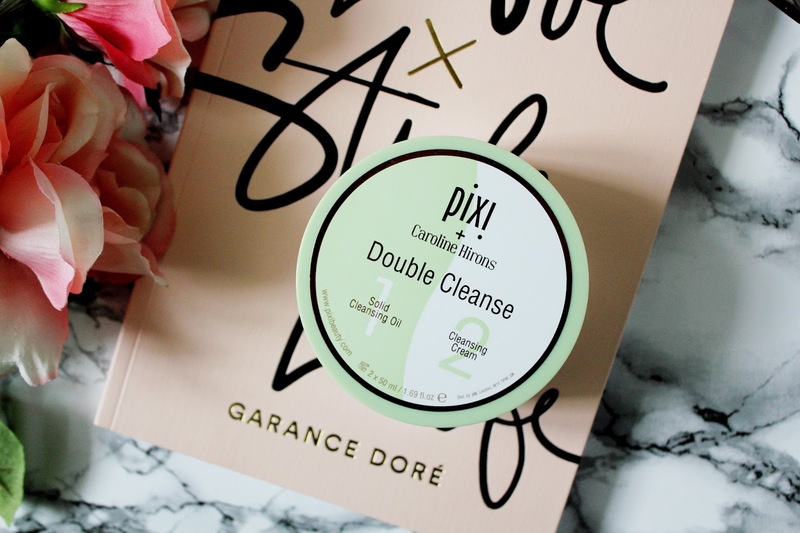 Have you tried the double cleanse yet? Is this product on your beauty wishlist? Such a lovely blog! 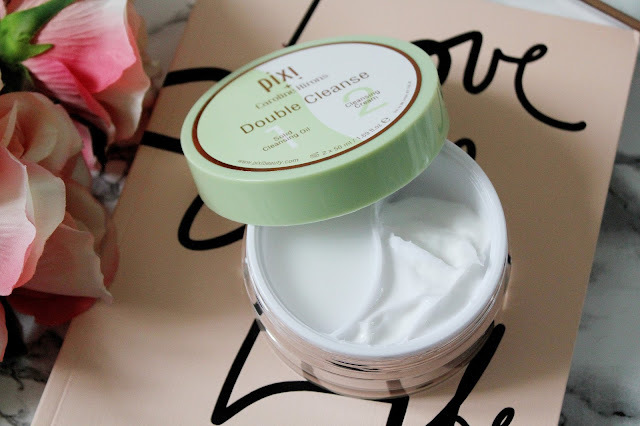 I've always been intrigued with Pixi's products but I'm never sure how good they'll be! Skin care is so important to me and Clinique personally has never let me down. Seems like such a good product !